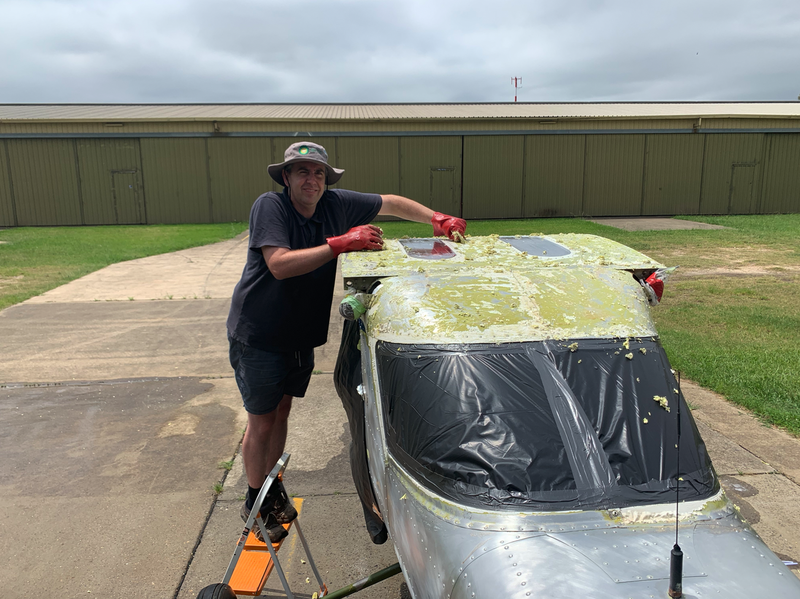 It’s been an ‘all hands on deck’ weekend, pushing on with the remainder of the paint stripping tasks on the FRA150L Aerobat VH-IRR. 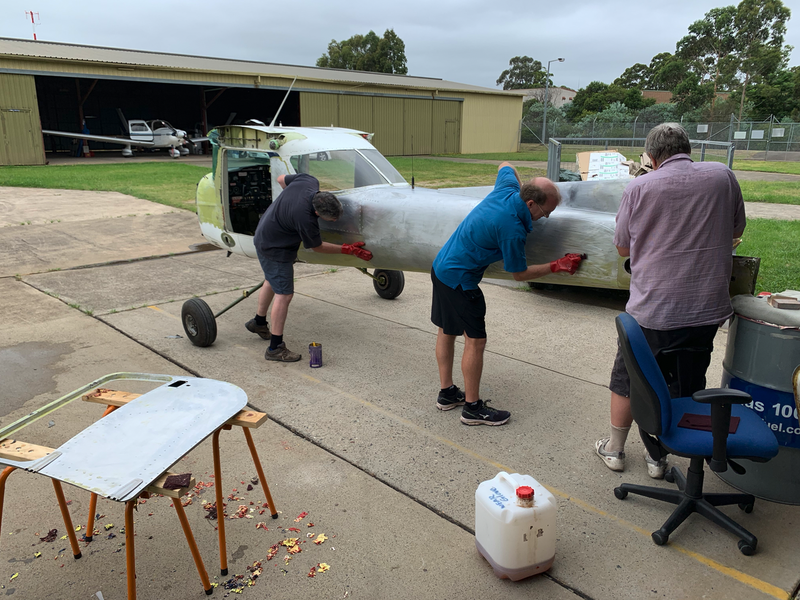 The fuselage paint strip is now 95% complete, with the team now focused on removing the paint around the window structures, which required careful preparation and consideration. 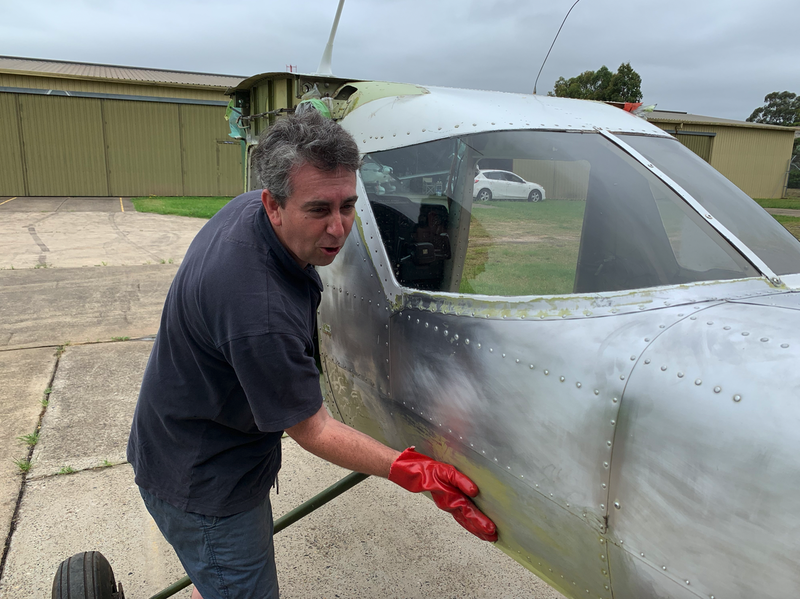 All of the plexiglass was carefully masked off using aluminum tape, ensuring the window lenses were protected against paint stripping chemicals, which can melt and distort perspex. 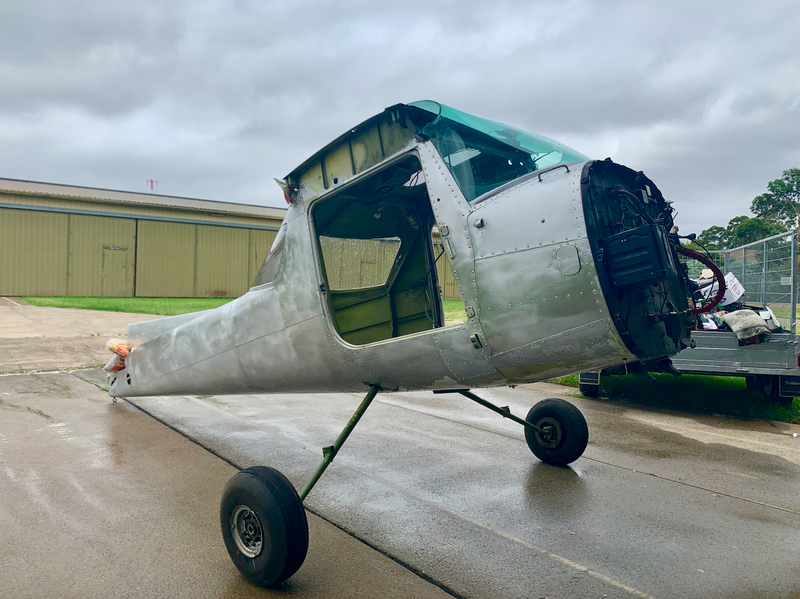 The edge of the window panels were then masked off with a quarter inch overlap to the surrounding frame structure, providing additional protection against chemical seepage. The centre of all the panels were then masked up using a chemically resistant plastic, forming a complete barrier against stripper intrusion. Whilst the entire mask-up process took time, it saves considerable effort in replacing windows due to chemical damage! 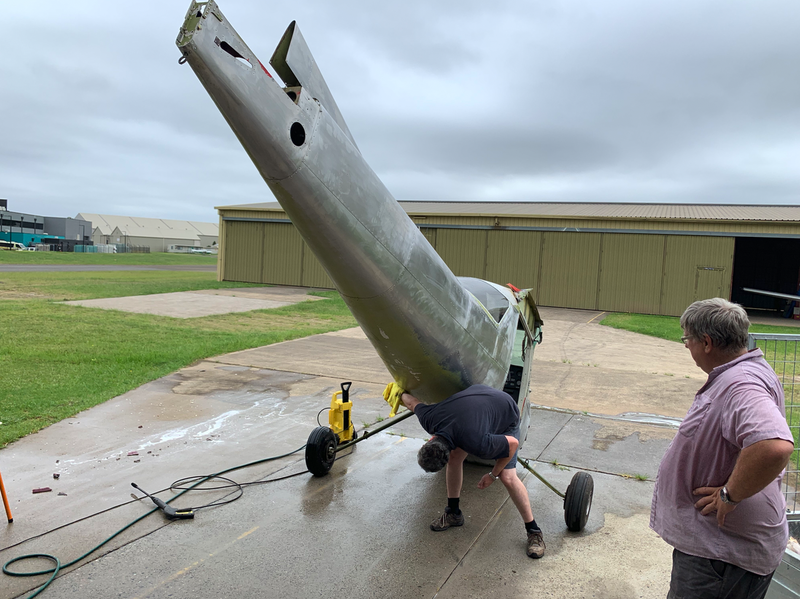 On completion of the paint strip, VH-IRR will be loaded onto the transport trailer and delivered to the painting team at AeroWork Bathurst where it will receive its Junior Pilots 70th Anniversary AOPA Australia paint scheme! 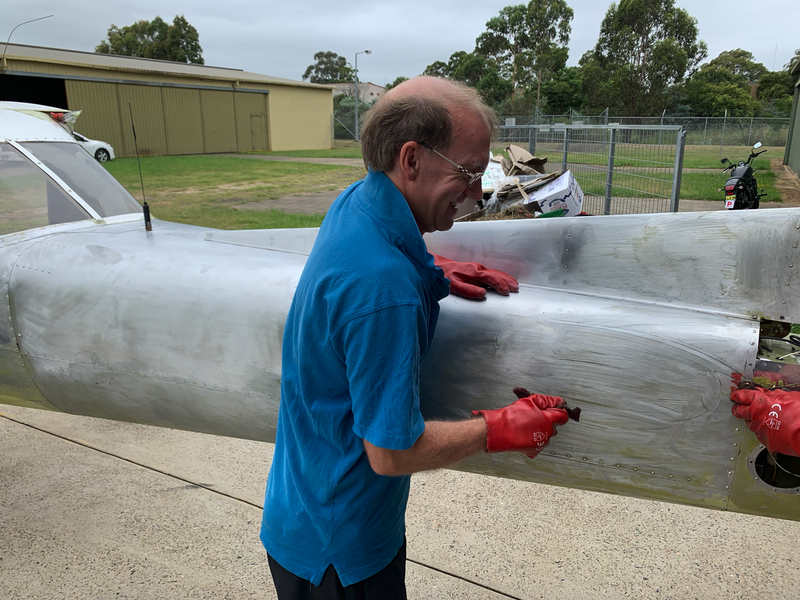 Many thanks to AOPA Australia Vice President Richard Talbot and members Daryl Smith, Peter Morgan and Greg Nugent for their valued help. It’s great to see the enthusiasm and support the project is generating.